An Associate Director of Kenseo HR, and one of the founders of the company, Philippe is responsible for coordinating the various practices and the global development of all the activities related to HR processes. 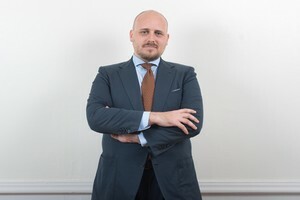 He is also in charge of recruitment missions, in close collaboration with the Sourcing practice, for the general management, HR, finance and industrial operations functions. He can offer all his expertise in job-seeking and the creation and development of companies to our candidates. As a member of Croissance Plus, he is particularly interested in entrepreneurship. After graduating from IDRAC, Philippe occupied a number of positions. He started his career in sales, before moving on to finance and banking in two reputable establishments. He then turned to counselling in financial communications, then consulting in recruitment and finding managers and executives, before founding Kenseo HR with Rémi Duchesne. Knowledge of MBTI and coaching methodologies. “Philippe is an initiator and founder of Kenseo HR. As a company director, he is professional, engaged and deeply committed to his business, his environment and his staff. His intuition and his desire to forge ahead, plus his inter-personal skills, are undeniably his greatest assets. He is strongly attracted to development and innovation, and always strives to remain in the forefront. He permanently tries to stay one step ahead of the current market trends and the competition. As the Sourcing Practice Manager, Sophie is responsible for driving and continually improving our sourcing methodologies. She manages the Sourcing Leaders, a team organised by specialised expertise that is dedicated to the identification and screening of middle and top managers. Together with her team and the consultants, Sophie capitalises on our best practices in identification (direct approach, web tracking, knowledge management of the Kenseo candidates database, etc.). She also chairs the Web / Digital Recruitment workshops for people receiving outplacement support. She provides support for themes related to their digital identity and the optimisation of their visibility on social networks. A university graduate in occupational ergonomics and personnel management, Sophie has more than 20 years of experience as a head-hunter for complex top management profiles and experts in manufacturing and engineering in particular. As an expert in the direct approach, she trained recruitment managers in international groups and consulting companies, before joining KENSEO in 2012. “Sophie is a genuine expert in head-hunting. She gained stature at KENSEO by introducing her vision and breathing new life into our head-hunting department, with tenacity, efficiency and good results. Nathalie became an associate in 2008 and founded the Career Change practice. She develops and manages KENSEO’s outplacement and review services. As a coach (JBS Coach and Team, Vincent Lenhardt), she also delivers individual and team coaching services. For more than 12 years, Nathalie has been supporting managers and executives who are going through periods of professional reflection or change, and are considering new projects as employees or as entrepreneurs (creation or acquisition of a business). She is resolutely positive, curious and inventive. She offers her customers skills as a coach and her knowledge and experience of recruitment and head-hunting. A graduate from EMLYON, she spent most of her career in HR consulting. Before turning to support services, she developed her skills in a leading manager and executive recruitment agency. “Thanks to her hard work and commitment, Nathalie succeeded in creating an activity at the heart of KENSEO’s services. Always strongly committed to her mission and attentive to others, Nathalie adopts a benevolent attitude towards the team and the people she supports. As a member of the Sourcing team, Lucie is involved in various top and middle manager recruitment missions. In partnership with the consultants, Lucie sets up real research strategies to identify and contact candidates. She adapts its methodology according to needs by favoring the direct approach as well as research via social networks. Lucie identifies the needs quickly and is able to pass on her analysis to other members of the firm and to clients. Holder of an HR License, Lucie was able to address the various human aspects related to the life of a company. Having a significant experience of 5 years in different consulting firms in Human Resources, Lucie knows the important stakes of the recruitment in company and is placed like a true support with our consultants. “Arrived at the end of 2016, Lucie was able to quickly integrate with the team thanks to her relational ease and her natural altruism. Her determination and rigor make Lucie a strong element of the team bringing efficiency and results within the organisation. Sylvie is an Associate and Senior Consultant, who is specifically tasked with the development of the company with its partner customers. In coordination with the rest of the team, and with her resolutely collaborative approach, she drives and manages the development of KENSEO around HR processes. 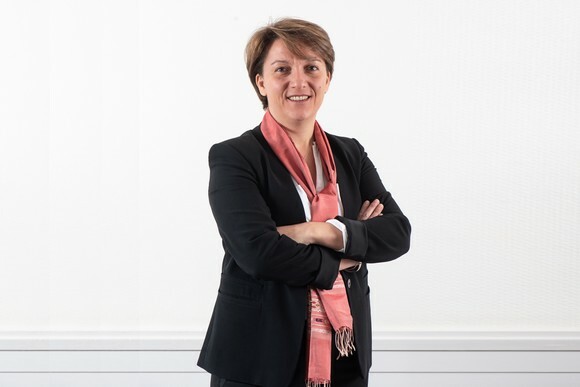 Sylvie also works with the members of the management committee and the executive committee on all aspects of HR development (coaching, change management, outplacement or management training), in active collaboration with internal consultants and external partners, as well as with higher management schools, and in particular EMLYON. She graduated from EMLYON, then took a Master’s degree in strategy and management research. For 25 years, Sylvie worked in three international groups, in HR, then Group HR, before turning to counselling in career management with a worldwide leader in the sector. She joined KENSEO in 2007. “Thanks to her experience of HR and central HR, Sylvie can provide KENSEO and its teams with diverse approaches and skills, backed up by an extended professional network. She is particularly well appreciated for her energy, her leadership and her innate sense of sharing and togetherness. As the director of Recruitment and Assessment, Bertrand and his team intervene and actively collaborate with the Sourcing practice in the recruitment and assessment of middle and top managers from every function in these sectors. He is resolutely focussed on counselling and continuous improvement, in an approach he shares with his customers and partners. He is Insights Discovery certified and uses this tool in his missions to develop relational and managerial performance and individual coaching. He provides his expertise in the job market and skills in demand to KENSEO candidates receiving mobility and outplacement support by acting as an operational advisor on their personal marketing (resume, interviews, visibility of their digital identity on the networks, etc.). He is also in charge of the Digital Marketing initiative at KENSEO. 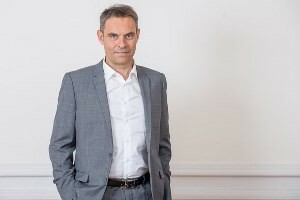 After graduating from IDRAC, Bertrand followed a course in management training at EMLYON. He has operational experience as a Lean Manager in the British subsidiary of a pharmaceutical group and experience as a consultant in an international recruitment agency. He joined KENSEO in 2004. Knowledge of MBTI, non-violent communication, transactional analysis and the human element. “Bertrand is a driving force for change who generates a genuine dynamic in the team and is always on the lookout for novelty and innovation. He stands out through his proactivity, sense of initiative and perseverance. “Thierry has strong values and is a man you can trust. He stands out by his calm and stable temperament, from which the team benefits on a daily basis. He is reliable, conscientious and well structured. Over time, he has developed a special interest in coaching and inter-personal relations, in which he has developed genuine skills and a keen sense of analysis and perception. Angélique is the manager of the KENSEO back office, and she is also in charge of the agency’s external and internal communications. She coordinates all the administrative and financial tasks that enable the company to function, and actively collaborates with the consultants in the administration of their missions. She also manages the information that our customers and candidates need in a smooth and reliable manner. She supports outplacement candidates by keeping them informed and including them in the life of the company (events, organisation of training sessions and workshops, management of the press and databases, etc.). After graduating in administration, accounting and marketing, Angélique started her career in an insurance company, initially in communications, and then in marketing. She joined Kenseo in 2010. “Angélique is thorough and well organised. She has a keen sense of detail, likes to see a job well done and is punctual. She is highly visible internally and externally, and knows how to reconcile a multi-disciplinary job with the management of priorities. Romée holds a degree in Public Law and a master from Audencia Nantes. He began working in new technologies consulting, where he advised major key accounts, in telecom and energy industries in their IT and digital issues. Their, he began working on recruitment technics for he had to develop his team. Very concerned by human relations, Romée joined HR consulting business in 2015, first in Paris, and then in Lyon, where he entered Kenseo in 2017. Romée helps his clients on all their recrutment and assessment challenges in the industry, and in the new technologies. Romée speaks french, english and spanish, and is cartoonist beside his HR consulting activity. “A person of values, Romée is oriented to service, commitment and availability. Open minded, he has been able to quickly integrate into the firm, display a strong personality and highlight his professionalism, his conviviality while developing his specificities. In her role as a coach and a mediator, she also delivers training and provides support for conflict management, the quality of inter-personal relations and the prevention of psychosocial risks. Catherine brings her human qualities and her skills in management and people and organisational management to all her missions. By recruiting and assessing talents, she shares her refined analysis of personalities with her customers, candidates and employees, but also her informed advice on the development of potential, integration and career management. After her initial training in science, Catherine then went on to study philosophy and passed a Master’s degree in human resources. She has 15 years of experience in the management and development of HR and organisations in two leading international industrial groups, where she worked on all aspects of HR as a business partner. Catherine joined KENSEO’s counselling and coaching department in January 2015. Certified JBS Coach & Team, Vincent Lenhardt. She is trained in non-violent communication, the human element, JBS coaching, CPMN professional mediation, Talent Q, Insights Discovery and MBTI. “Catherine is someone who is passionately interest in human relationships, and whose principal concerns are the development of people and organisations. She contributes her global vision, her expertise in human resources and her in-depth knowledge of companies to KENSEO. Catherine is open-minded, curious, she listens to her customers and pays attention to their environment. She is also demanding and her commitment, her taste for a challenge and her sense of innovation all contribute to the collective performance. 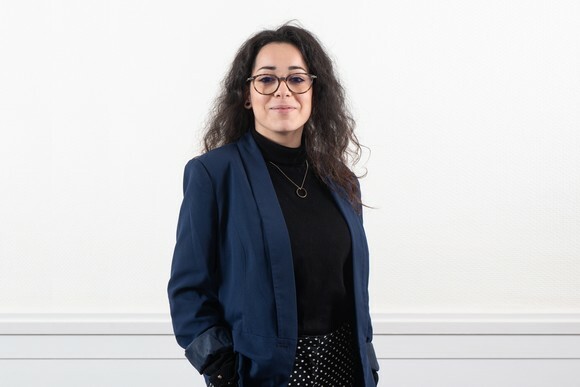 Member of the Sourcing team, Zahra is involved in the management and monitoring of recruitment missions with expertise in Technical / Maintenance / R & D / Production trades. Working in partnership with consultants, Zahra is in charge of selecting and identifying the most suitable potential candidates for our clients. She masters the techniques of direct approach and the exploitation of digital tools. With a Master’s degree in Human Resources, Zahra joined the Sourcing team after significant experience in outplacement HR consulting, which allowed her to have a real economic and HR approach of the market. As an Office Manager’s support, Océane joined Kenseo in 2018. She contributes to the administrative organization and cooperates with the entire team. She is also responsible for the phone and physical reception. Graduated from a Technical Degree in Services, she is also bilingual. She took her first step within public services before joining Kenseo. As a member of the sourcing team, Margot responds in support of our consultants on different recruitment missions of top and middle managers, from all kind of industries. Working as a partner with consultants, Margot is in charge of the sourcing process from A to Z : searching, identifying, and qualifying. Research methods are thought in order to meet our clients’ needs. Adviser on financials and human resouces applications, her studies, and different experiences helped her to identify the right candidates. Graduated from an International Business and Entrepreneurship BBA, completed by a Consulting and Strategy MBA, Margot joined us as part of her last year internship. She is now a full member of the sourcing team. “Involved and demanding, Margot conducts her recruitment missions with seriousness and efficiency. She is proactive and brings an innovative vision to the whole team. Senior consultant and member of the Recruitment & Assessment Division, Pauline leads recruitment and assessment missions to middle and top managers. With more than 15 years of experience in human resources and seconded by our Sourcing division, she works on the support functions (HR, Finance, Legal). In partnership with all the Kenseo teams, Pauline is also in charge of the development of all the firm’s activities (coaching, team cohesion, training, outplacement …). Graduate of ESDES Pauline worked for 13 years with a leading recruitment and placement multinational company in France on the functions of office manager and then head of key accounts. Pauline then worked for 3 years in a major HR consulting firm, before joining Kenseo in 2017 as senior Consultant. “Pauline is a great professional who deploys her qualities of common sense, interpersonal skills, humility and integrity in everyday life, both externally and internally. Convivial and committed, with a great sense of responsibility, she brings advice and clarity to her interlocutors. Member of the Sourcing team, Jehanne intervenes on recruitment missions with a specialization on supply chain / purchasing area. Holder of a two-year Higher Education diploma in international business, Jehanne speaks fluent English. She joined Kenseo to consolidate the sourcing team et to accompany the recruitment consultant in the management of their missions. “Discrete but effective, Jehanne is distinguished by her calm and reliable temperament. She puts her qualities of rigor and organization in favor of recruitment missions that she deals with effectively. Senior consultant and member of the Recruitment & Assessment Division, Emilie leads missions of middle and top managers, specialized in Sales and Marketing. After doing her studies in Quebec and Scotland in Marketing & Communication, Emilie began her career in training areas specialised in organisation and time management. She provided collective and individual training sessions for large industrial groups in France, USA and Canada. Then, passionate about human relations and companies’ diversity, she focuses her career on recruitment, HR development and employer branding. From SMEs to global organizations, she recruits for more than 12 years. Drawing on these HR experiences, she joined Kenseo in 2018 to live her job through the diversity of clients and candidates. HR Tools Certificates : PerformanSe, Sosie, TalentQ. “Emilie integrated the team quickly, her authentic human and professional qualities shows that she is a person of worth. Member of the Sourcing team, Chloé works on recruitment missions in collaboration with the consultants. She joined Kenseo on September 2018 to gain a first sourcing experience. She is in charge of targeting companies for headhunting, as well as the first pre-qualification of candidates besides consultant team. She knows how to put a place the right Sourcing Strategy in order to satisfy our clients. Today, she completes her HR studies by a Master’s degree in Management and Business Strategy.